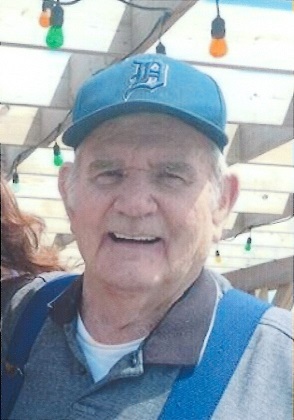 ESCANABA — John F. McGraw, 88, of Escanaba, passed away on Thursday, Feb. 7, 2019, at Bishop Noa Home in Escanaba. He was born in Escanaba on May 25, 1930, the son of John and Hulda (Kruger) McGraw. John attended Escanaba High School, graduating in 1948. On June 16, 1948, John enlisted in the Army, serving with the 82nd Airborne until his honorable discharge in 1952. John married Nancy Jamar at St. Patrick’s Church in Escanaba on July 7, 1956. Together they raised five children. He worked for the city of Escanaba as a firefighter and police officer for 32 years until his retirement Jan. 25, 1988. He was a member of St. Thomas the Apostle Parish. He is survived by children, Connie (Rob) Gerstner of Escanaba, Mary (Jim) Ellis of Escanaba, Sally McGraw of Escanaba, Karen (Dan) Gravelle; grandchildren, Carrie (Matt) Johnsen, Alicia Gerstner, Andy Gerstner, Nicole McGraw, Michelle McGraw, Lisa McGraw, John McGraw, Michael McGraw, Scott (Brittany) Gravelle and Jena Gravelle; daughter-in-law, Kelly McGraw of Escanaba; and eight great-granddaughters. John was preceded in death by his parents; wife, Nancy; and son, Michael John McGraw. Visitation will be held on Tuesday, Feb. 12, from 9:30 to 11:30 a.m. at the Crawford Funeral Home, 302 S. 13th St., Escanaba. Military rites will take place at 10:30 a.m. The Mass of Christian Burial will follow at noon at St. Thomas the Apostle Church with Rev. Rick Courier officiating. A meal will follow in the church hall. Burial will take place in Gardens of Rest Cemetery.